Our organization has gained recognition as a flourishing enterprise for providing Inclined Type Test Rig. 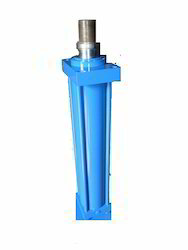 The given test rig is obtainable in diverse specifications as per the need of customers. Our offered test rig is for controlling leakage of water and is used in industries to tightly seal the valves using clamps. Offered test rig is checked on diverse parameters so as to supply a defect free range. 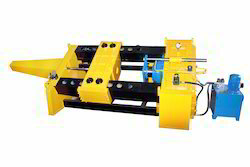 With our rich industry experience, we manufacture and supply an extensive range of Rod Straightening Machine. 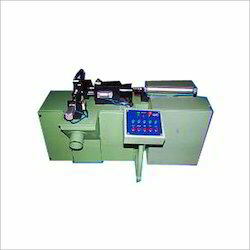 Used for rod within one meter length, the offered straightening machines are developed keeping in mind the set standards of industry using best in quality material. For ensuring its flawlessness, these straightening machines are tested against various parameters. 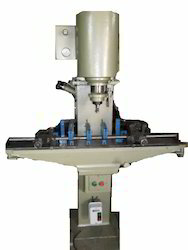 Our straightening machines are distinguished in the market for its superior performance. C Type Hydraulic Press We are a well-experienced company occupied in manufacturing and trading of C Type Hydraulic Press. These Hydraulic C Type Presses assure outstanding performance along with longer service life as we make use of high in class raw material in manufacturing process. At our manufacturing unit, we use most recent technology and modern machinery to ensure these are able to professionally fulfill patron’s requirement. We are the foremost manufacturer and supplier of premium quality assortment of Clamping Unit. Our provided clamping units can move along with the job and return by motor. We develop these clamping units from the best grade of material and modern technology in adherence to the set guidelines. As well, offered clamping units are used to avoid manual holding wire turning. As a quality-oriented organization, we are focused to provide our clients an excellent quality Scrap Chapper. Our offered scrap chappers are accessible in various specifications to choose from. 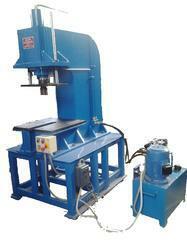 The offered scrap chappers are used to maintain in front blanking machine and foundry furnace area cutting the plates. Also, we are giving these scrap chappers to our customers at nominal rates. With the constant support of our professionals, we are fulfilling the varied requirements of clients by offering Automatic Top Roller Parting Machine which does not require any skills to operate. 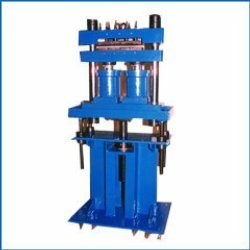 The offered roller parting machines are developed keeping in mind the set standards of industry using best in quality material. 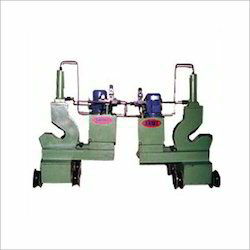 These roller parting machines are automatically feeds the roller, mover the stopper and cut the roller to the required size. Being one of the reputed organizations in the market, we are engaged in offering an exclusive range of DC Power Pack which can be charged faster within 12 Hrs. The offered power packs are used in diverse industrial applications such as agricultural machine, construction machines, lifting equipment & mining. Additionally, the power packs offered by us are checked on various parameters of quality in order to supply a flawless range. 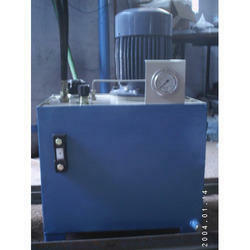 We provide these power packs on various specifications as per the needs of customers.